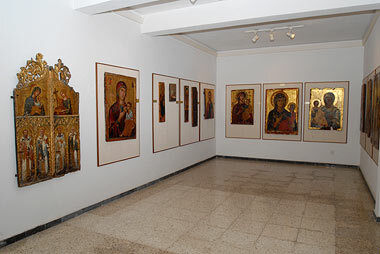 A number of specialized museums, devoted mainly to Byzantine and Christian religious art, have been created within the framework of various research programmes or other projects. 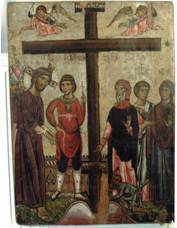 This museum is housed in a specially constructed building near the Church of Panagia Eleousa. It houses a part of the ecclesiastical heritage of Kilani village. Opened in 1989. Working team: S. Sophocleous, Art Historian – Museologist, Elli Konstantinidou, Architect, Alexa Ebel, Vangelis Chatzistefanou, and Demetris Kyriakou, Conservators. 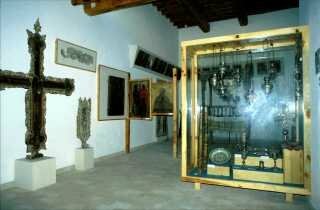 This museum, already created in the early 1980s, was provisionally installed in a scheduled residence and then in one of the wings of the Bishop’s Palace. The museum was renovated by the Centre of Cultural Heritage in 1992-1993, but not to the extent initially planned. A leaflet was published on this occasion. 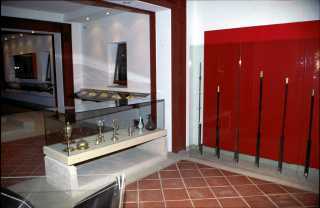 The Byzantine Museum of Paphos. 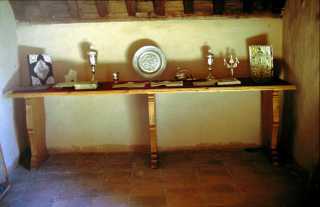 This was installed in five rooms and the portico-gallery of the ground floor of the monastery’s east wing. It houses the heritage of the monastery since its foundation in the form of a hermitage by St Neophytos in 1159 until the present (icons, manuscripts, sacred vessels, old books, vestments, various religious objects, jewellery, and the monastery’s collection of ancient Cypriot pottery and old maps). Opened in 1996. Working team: S. Sophocleous, Art Historian – Museologist, Z. Sherepeklis and M. Economidis, Architects, Vangelis Chatzistefanou, A. Georgiadis and Stavros Stavrou, Conservators. 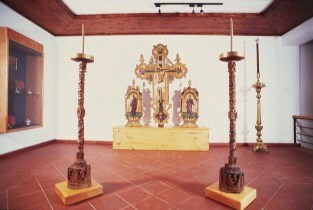 Housed in the early 16th-century Chapel of the Holy Cross, this small local museum displays the village’s sacred art from the 13th to the 19th century. The chapel preserves murals from 1521, a 19th-century iconostasis, icons from the 13th to the 19th centuries, old liturgical books, and sacred vessels. A herbarium with aromatic plants encircles the chapel. Created in 1995. Working team: S. Sophocleous, Art Historian – Museologist, and Christos Karis, Conservator, Evi Michaelidou, Topographer and executor of the plans of the herbarium. 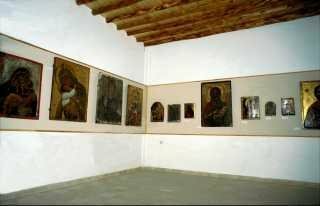 This museum, installed in a restored old building, houses the wealth of Byzantine art of the several churches and chapelsof the two Palaichoria villages, Palaichori Morphou and Palaichori Orinis. The exhibits are representative of a long chronological period from Frankish rule (1192-1489) down to the present. 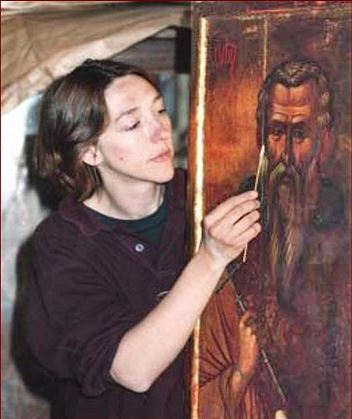 They reflect awide spectrum of ecclesiastical art, mainly of the post-Byzantine period,principally painting, woodcarving, silverwork, weaving, embrodery, and printing.The museum also has collections of icons, paintings on leather and canvas, sacred vessels, old printed books from the 16th to the 19th century, engravings, manuscripts, old vestments, antiminsia and furnishings (such as analtar, an epitaphios, and candelabra); there are also votive offerings and other typical ormaments from an Orthodox church. 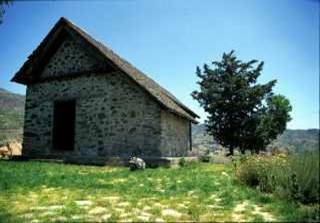 The importance of theMuseum is founded on the fact that its collections are among the mostrepresentative of the development of ecclesiastical life and art in a rural communityin Cyprus. 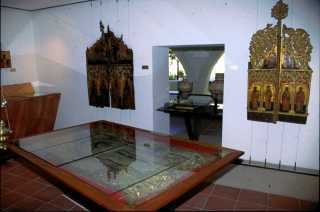 The museum’s exhibits provide a wealth of information aboutthe evolution of religious, social, and economic life in Palaichori fromthe Medieval Period to the present. This information enriches our knowledge of the onomatology of the inhabitants of the community, as well asmatters of wider religious practices, customs, and ceremonies. 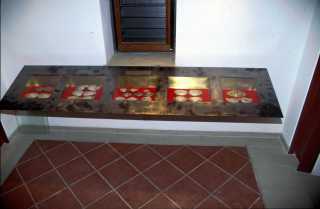 Most typical ofthis are the votive offerings which people dedicated in the churches andchapels of Palaichori, which show, among other things, the special needs ofthe everyday life of a small rural society situated in an inaccessible mountainous region of Cyprus. 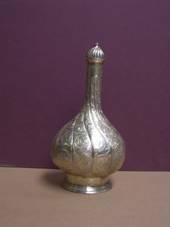 These offerings and their dedicatory inscriptions also bear witness to the importation of art works fromEurope and the East, as well as to the activity of the Latin lords of thefief of Palaichori during the Middle Ages and the Renaissance. A system ofelectronic information (multi-media kiosk) has been installed in the museum in order to give information about the history and sights of Palaichoriin four languages. Inaugurated by His Beatitude Chrysostomos I, Archbishop of Cyprus, and the President of the Republic of Cyprus, His Excellency Mr Glafkos Clerides, in 1997. Working team: S. Sophocleous, Art Historian-Museologist, Giannis Aristodimou, Architect, Κostas Chasapopoulos, Alexa Ebel, Stavros Stavrou, and Suzanna Agathokli, Conservators. With the financial support of the ANASTASIOS G. LEVENTIS FOUNDATION. Views of the two galleries. 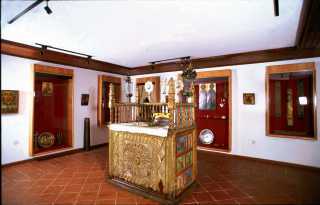 This treasury, housed in the Chapel of Saint Theodore in Lemythou village, is comprised of the most significant examples of the community’s ecclesiastical artistic wealth: icons from the 13th to the 20th centuries, old books from the 16th to the 19th centuries, sacred vessels, woodcarvings, and other objects for liturgical use. The Centre prepared the museographic plans and those of the garden of aromatic herbs around the chapel, but it was not commissioned to supervise the realisation of the plans of the museum or of the garden and it is not responsible for any mistakes. Opened in 2001. Working team: S. Sophocleous, Art Historian – Museologist, Elena Kalliri and Chrysanthos Pissaridis, Architects – Conservators, Κostas Chasapopoulos, Conservator of art works. Sponsored by the ANASTASIOS G. LEVENTIS FOUNDATION. This is a permanent exhibition of the village’s sacred art spanning a period from around 1300 down to the 19th century, installed in the north aisle of the parish church of the village. The exhibits include an iconostasis of the 18th and 19th centuries which came from the former parish church destroyed by fire and then rebuilt in the 1930s. The iconostasis was fortunately saved from the fire and was laying dismantled for several decades in the women’s gallery of the new parish church, and was only conserved in 1998 and 1999, thanks to the generosity of the Anastasios G. Leventis Foundation. 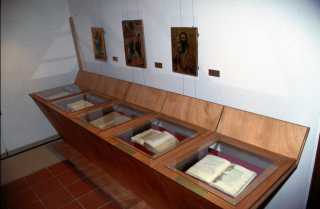 In two large showcases along the north wall of the church old icons, sacred vessels, and old books are displayed. Opened in 2000. Working team: S. Sophocleous, Art Historian – Museologist, Chrysanthos Pissaridis, Architect, Alexa Ebel, Jutta Papageorgiou, Κostas Chasapopoulos, Andreas Georgiadis, and Caterina Athienitou, Conservators. Sponsored by the ANASTASIOS G. LEVENTIS FOUNDATION. 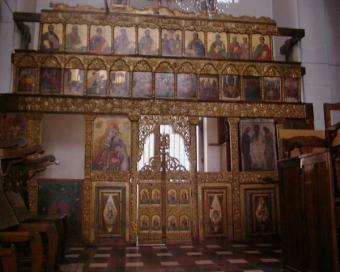 The iconostasis of the 18th and 19th centuries, on display after treatment, August 1999. 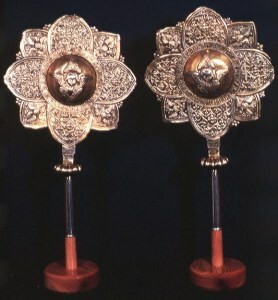 The museum consists of the artistic heritage of sacred art accumulated in this monastery throughout the centuries since its establishment in the 12th century (icons, sacerdotal vestments, manuscripts, old books, gold and silver art works, old lamps, various sacred vessels, and old relics). 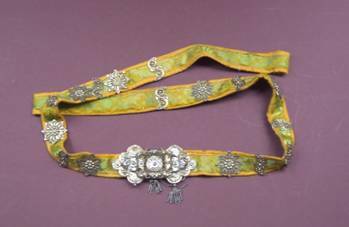 This heritage has being recorded and conserved thanks to a donation of the ANASTASIOS G. LEVENTIS FOUNDATION. Inaugurated in June 2000 by the Minister of Communications and Public Works, Mr Averof Neofytou. Working team: S. Sophocleous, Art Historian – Museologist, Pefkios and Karin Georgiadis and Kleio Karageorghis, Architects, Froso Igouminidou, Ethnographer, Costas Chasapopoulos, Andreas Georgiadis, Sharen Papadopoulou, Alexa Ebel, Jutta Gaisler-Papageorgiou, Valentina Cican, and Caterina Athienitou, Conservators. 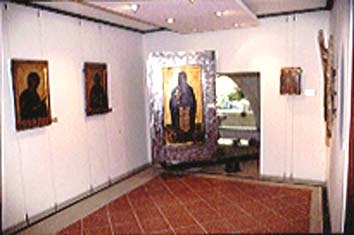 The Byzantine and ecclesiastical artistic heritage of this community has been displayed in the Chapel of Panagia Katholiki. The chapel itself dates back to around 1500. 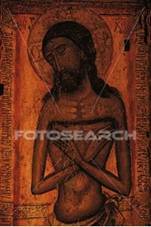 From that period, the mural of the Last Judgment on the west wall and the carved and gilded wooden iconostasis, all its icons being in the Italo-Byzantine style, have survived. Icons, sacred vessels, old books, sacerdotal vestments, and other relics which survived in the two parish churches and the chapels of Pelentri have been conserved and displayed in this museum thanks to a generous donation of the Anastasios G. Leventis Foundation. The Centre compiled the architectural record of the chapel and that of the iconostasis and finished the museographic plans and specifications, as well as the plans for the landscaping of the courtyard around the chapel as a herbarium. The Centre was not commissioned to supervise the realisation of the plans of the museum or of the herbarium and it is not responsible for any mistakes. Working team: S. Sophocleous, Art Historian – Museologist, Chrysanthos Pissaridis and Elena Kalliri, Architects, Kyriaki Sophocleous, Kostas Chasapopoulos, Alexa Ebel, Jutta Gaisler-Papageorgiou, Valentina Cican, and Caterina Athienitou, Conservators. This treasury at the village of Kilani was intended to house the ecclesiastical heritage of the Parish Church of the Monogenis, the katholikon of the former monastery of that name. It contains the 18th-century iconostasis of the church by the painter priest-monk Ioannikios and his students, old books, icons, and sacred vessels. 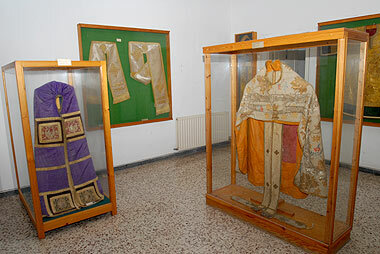 Some of the sacerdotal vestments and embroideries were sent by the Archimandrite Kyprianos from Venice around 1800 to his native village Kilani. 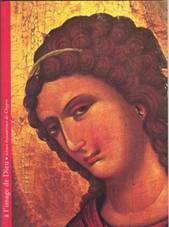 Kyprianos is the author of the Chronological History of the Island of Cyprus, printed in Venice in the year 1789. He is considered one of the prominent personalities of the Hellenic Enlightenment of the late 18th and early 19th centuries. The Centre prepared the plans for this treasury in 1996-1997, but later the new Bishop of Limassol, Athanasios, successor of Chrysanthos in 1999, rearranged this treasury in a different way. 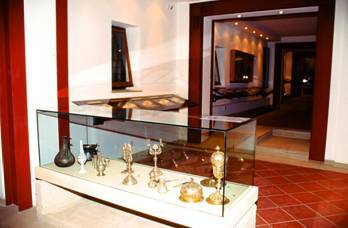 In 2009 the Centre of Cultural Heritage was commissioned by the Municipality of Paralimni to create an Ethnographic Museum. The project is under study.